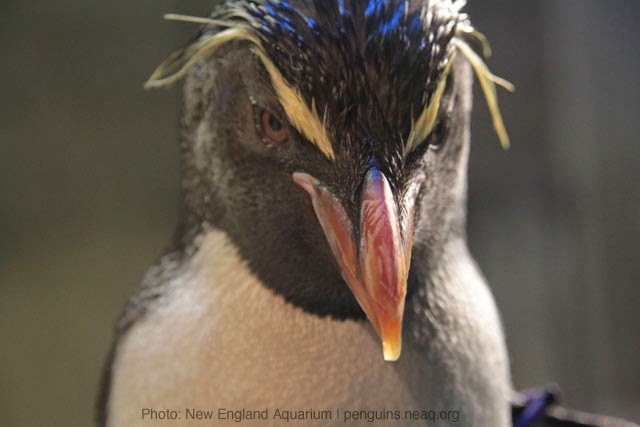 Often while in the penguin exhibit we hear visitors ask if we have macaroni penguins. At first this may sound quite weird. Is there even a species of penguin called the macaroni and if there is, why would they be named after a type of pasta? Well, there is in fact a species of penguin called the macaroni penguin (Eudyptes chrysolophus). They are one of the 7 penguin species in the crested penguin family. All seven species have characteristic yellow crest feathers on their heads. Southern rockhoppers (Eudyptes chrysocome) are members of the crested penguin family, which are often confused for macaronis at the Aquarium. One distinct difference between macaroni penguins and rockhoppers is how their crest feathers are “styled”. 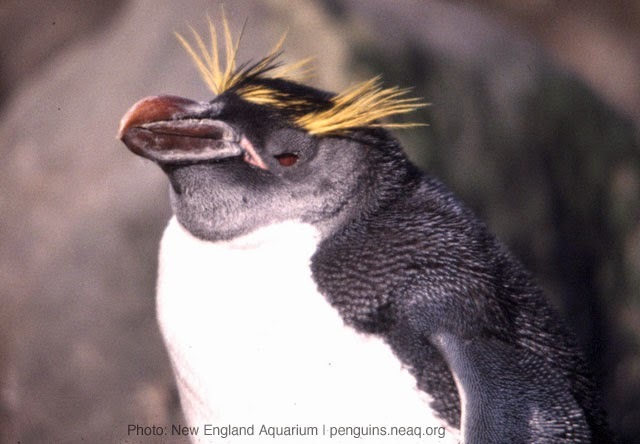 Rockhoppers have crest feathers that start over their eyes like eyebrows and then branch off the sides of their heads while the more golden or orange crests of a macaroni penguin start at a point above their beaks and flair out past the eyes. Macaroni penguins also have larger, blunter beaks; stand over 2 feet tall and can weigh up to 14 pounds. 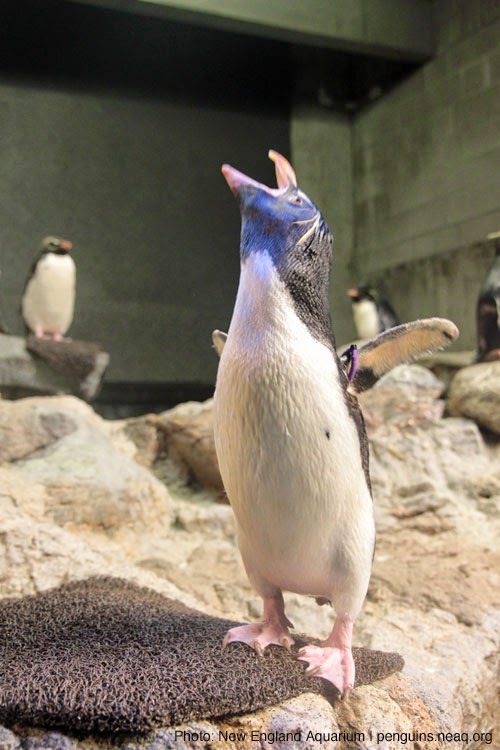 To impress a mate both types of penguins will perform ecstatic displays consisting of a bow forward, extension the head and neck straight up followed by loud vocalizations and shaking their heads back and forth displaying their beautiful crest feathers. Now the burning question: how did the macaroni penguins get such a silly name? Macaronism was a style of dress popular in 18th century Europe, consisting of elaborate outfits, oftentimes including hats with large ornate feathers on them. People who adopted this style were called macaronis. In the early 19th century, English sailors on the Falkland Islands saw macaroni penguins with their elaborate crest feathers and named them macaronis. 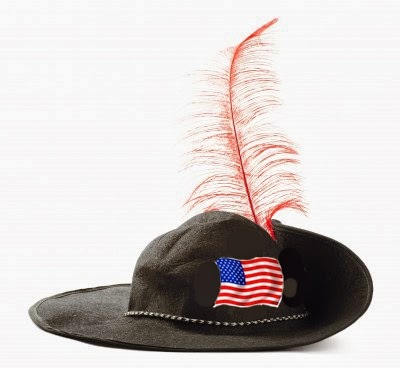 The line “He put a feather in his cap and called it macaroni” from the song Yankee Doodle also refers to that fancy fashion style.